RIVERSIDE, Ill. (WLS) -- An intoxicated Chicago man was arrested by Riverside police for driving on a sidewalk. At approximately 2:40 a.m. Saturday, officers found Marshawn D. Gibbs asleep in his 2005 Cadillac, which was parked on a sidewalk at the intersection of Ogden Avenue and Lionel Road. Authorities said a red Solo cup of beer was in the driver's side cup holder and an open cup of wine was found elsewhere in the vehicle. Marshawn D. Gibbs was arrested Saturday after he was found asleep behind the wheel of a car parked on a sidewalk in Riverside. 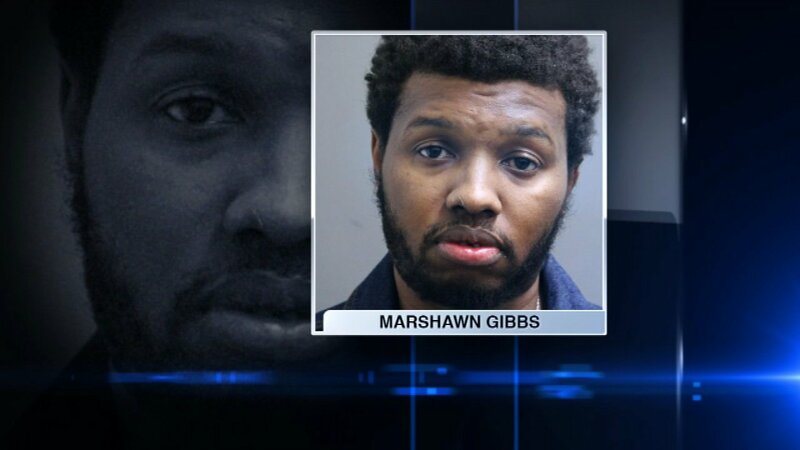 When officers woke Gibbs, he showed signs of intoxication and said he thought he was on Cermak and Sacramento in Chicago, authorities said. Police report that Gibbs' pants were undone and soiled with alcohol when he exited the vehicle for a field sobriety test. Gibbs was arrested and taken to Riverside Police Department, where a Breathalyzer test determined that his blood alcohol content was twice the legal limit, authorities said. Gibbs was charged with two counts of driving under the influence of alcohol, one count of improper lane usage, expired registration, and driving with open alcohol, police said. Authorities said Gibbs was also arrested for DUI in 2015.